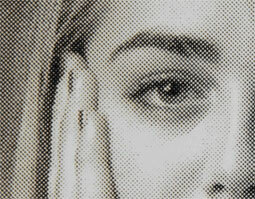 Dithering defines how the dot patterns will be engraved in raster images that contain grayscales, blends or color. The new Epilog Laser Dashboard™ offers six different dithering patterns to enhance your engraving results. Below is a screen shot of the new Laser Dashboard™. The Dithering option is located on the General Tab, beneath the speed and power settings. As you can see, there are six options: Standard, Brighten, Low Res, Floyd Steinberg, Jarvis and Stucki. Below we'll discuss the characteristics of each option. Standard - This mode is the default mode and will be used for most engraving jobs that include text and clip art at 600 DPI. Brighten – Many users find this mode good for engraving photographs onto wood or marble at 600 DPI. 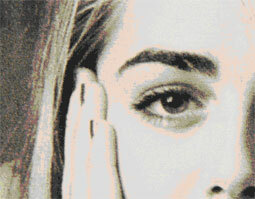 Low Res - Selecting this option will add an artistic half-tone type of look to your engraving. Floyd-Steinberg – This option produces a wave-like pattern to images. For highly-detailed photos, this option produces a more sophisticated look. The Floyd-Steinberg option is not recommended for photos containing monotone swatches of color. Jarvis – Many users find this a good mode for engraving photographs at 300 DPI. It produces a very nice looking pattern on almost all photos. Stucki - This mode produces results that are only slightly different than the Jarvis mode. It is also very good for engraving photographs at 300 DPI. In the example below, we engraved the exact same photo in Standard mode and Stucki mode. Both photos were engraved at 300 DPI. As you can see, the photos look dramatically different. Notice how the Standard mode shows a very structured pattern, while the Stucki pattern shows a more random pattern that is much more visually appealing. We encourage users to experiment with different dithering patterns because each one results in a different look depending upon the material. In other words, a graphic image that looks good on wood may not look as good on plastic. Refer to your owner's manual for more engraving tips!